Legal and regulatory experts say Blue Cross of Idaho could face lawsuits and federal penalties over its new individual health plans that flout Affordable Care Act rules prohibiting medical underwriting and annual benefit limits. Blue Cross of Idaho on Wednesday introduced five individual health plans that do not comply with the ACA in its bid to offer more affordable insurance options to uninsured residents in the state who make too much to qualify for subsidies but cannot afford ACA-compliant plans. Blue Cross introduced the plans in response to Idaho Republican Gov. Butch Otter's early January executive order that asked for "creative" options to expand choice on the exchanges. The director of the state's insurance department later that month issued guidelines for the new "state-based plans" that would allow insurers in the state to get out of some ACA rules as long as they offered ACA-compliant plans as well. The insurer said its five state-based plans, which the company is calling Freedom Blue plans, will allow Idahoans to obtain coverage with premiums that cost up to 50% less than similar ACA-compliant plans. Blue Cross offers seven qualified health plans on and off the public exchange. The five plans cover many of the same essential health benefits offered by ACA plans, including zero cost preventive care, primary-care visits, immunizations, prescription drug coverage, emergency services and mental health coverage. However, one of Blue Cross' five state-based plans does not cover maternity care. None of the five plans covers pediatric dental or vision care. While the plans have no lifetime maximum limits, they do impose an annual limit of $1 million per person, which is prohibited under the ACA. Under the Idaho insurance department's guidance, the plans would be able to deny coverage of pre-existing conditions for people who have not had continuous coverage. 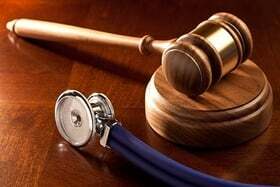 But Timothy Jost, a health reform expert and emeritus law professor from Washington & Lee University, said a state cannot exempt an insurer from federal law. If a state fails to enforce the ACA, the federal government is required by the Public Health Service Act to step in and enforce the law. Insurers that fail to comply face penalties of up to $100 per day per member. "The Public Health Service Act is very clear. The provisions of the ACA that they are violating, including posing annual limits or health status underwriting, are prohibited by the" PHSA, Jost said, referring to the law that enforces the individual market provisions of the ACA. The plans also threaten to harm consumers who enroll, experts said. Blue Cross would likely "be subject to a lawsuit for any one who joins these plans and is denied coverage," Jost said. The plans also have higher out-of-pocket maximum limits for medical and prescription drug coverage, when compared to a similar ACA bronze plan. But premiums could be lower. In an example provided by Blue Cross of Idaho, a family of four would pay a monthly premium of $933 for the insurer's ACA-compliant Bronze 5500 plan with a deductible of $11,000. Under Blue Cross' similar state-based plan, the average family would pay $572 per month and have a deductible of $8,000. The state-based plan premium is cheaper because Blue Cross will set the rate based on the members' health status, a practice called medical underwriting outlawed by the ACA. So for a family with more costly medical conditions, the monthly premium may reach a max of $1,176, Blue Cross said. The best rate Blue Cross would offer for the family of four would be $436. Blue Cross believes there is a pool of about 110,000 middle-class Idahoans who are uninsured and who may be interested in their state-based plans, which the company hopes to market in March for coverage starting April 1. "This provides another choice in the marketplace that's up to 50% cheaper and that will bring healthy folks back into the market," said Dave Jeppesen, the insurer's executive vice president for consumer healthcare, sales and marketing. The plans will not siphon healthy people away from the exchanges, he said, because the healthy people have long since dropped their coverage due to rising premiums. The state insurance department's guidance stipulated that state-based plans and exchange plans will make up a single risk pool. Jeppeson isn't worried about violating federal law, arguing that the ACA sets up the state as the regulator of the market in charge of enforcing the law, and Blue Cross is following local guidance from its state regulators. "We've looked at this through every lens possible," he said. Tricia Beckmann, a director at Faegre Baker Daniels Consulting who previously served with the CMS, said it's likely the HHS would try to work with the state or the insurer to bring Blue Cross' health plans into compliance with the ACA before the agency resorts to imposing penalties. But it's up to newly appointed HHS Secretary Alex Azar to decide if he will enforce a law that the Trump administration has repeatedly tried to undermine. On Wednesday in a hearing before the House Ways and Means Committee, Azar suggested he would uphold the ACA's requirements in the face of Idaho's new plans. "There is a rule of law that we need to enforce," he said. The new plans that Blue Cross of Idaho has introduced also pose a threat to consumers who choose to enroll in them, experts said. Before the ACA prohibited medical underwriting, health plans commonly rescinded coverage once a member came down with an expensive condition, such as cancer. It's possible individuals who enroll in the state-based plans could face similar risks, Jost said. In a letter sent Wednesday to Azar, 15 not-for-profit groups including the American Heart Association and Epilepsy Foundation expressed concern that Idaho's move to allow such state-based plans would harm individuals and healthcare providers. "Healthcare providers that care for patients with these substandard plans may find that the plans won't cover the bills, resulting in medical debt for patients or uncompensated care for providers," the letter said. They urged Azar to enforce the federal law and declare the Idaho insurance department's bulletin outlining requirements for state-based plans to be illegal. "Idaho's action—if it is permitted to stand—would seriously injure Idaho patients and consumers and significantly destabilize Idaho's entire health insurance market," the groups wrote.